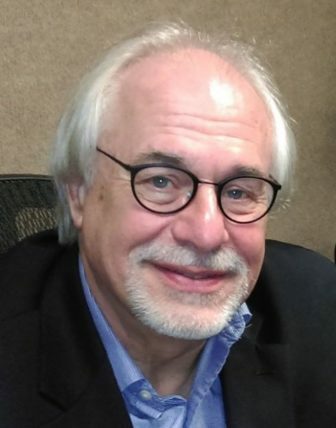 Lyle Muller joined IowaWatch in May 2012 after serving as editor of The Gazette (Cedar Rapids, IA), which is owned by a multimedia company that also owned KCRG television when he was there, plus other digital and publishing enterprises. 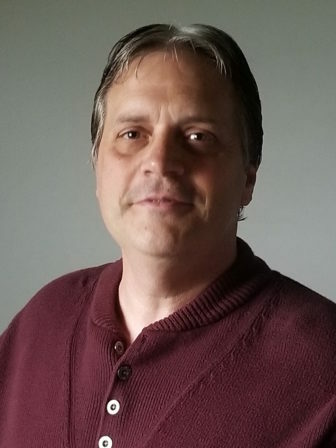 He held several reporting and editing positions during his 25 years at The Gazette, among them being editor of the Iowa City Gazette, a zoned edition of The Gazette in 1999-2003, and leading investigative and special projects. He was a senior editor on a team of editors that directed coverage of an Iowa flooding disaster, which won The Gazette the Society of Professional Journalists’ national Sigma Delta Chi award for deadline reporting in 2008. A 1992 Council for the Advancement of Science Writing national fellow, his focus as a reporter was on health, science and higher education. He is the reporting coach for The Daily Iowan’s Ethics and Politics Initiative journalism project; professional adviser for Grinnell College’s student-run Scarlet & Black newspaper; a member of the Iowa Newspaper Association Government Relations Committee, Iowa High School Press Association Board of Directors, Investigative Reporters and Editors (IRE) and Local Independent Online News Publishers (LION); and a former member of the Iowa Newspaper Foundation board of directors. He has taught political reporting and editing at the University of Iowa School of Journalism and Mass Communication as an adjunct faculty member, served on the Pulitzer Prize jury that selected finalists for investigative reporting in 2017, and has edited two books, “Epic Surge: Eastern Iowa’s Unstoppable Flood of 2008” (The Gazette Co., 2008) and “Ramblin: Reflections of Hidden Iowa” (The Gazette Co., 2011). His reporting experience also included working as a staff reporter at the Iowa City Press-Citizen, The Daily Iowan and in radio and television news. He is a University of Iowa graduate with a degree in communication studies. E-mail: lyle-muller@iowawatch.org. Phone: 319-389-4477. Jeff Sigmund is an IowaWatch photographer. He is a 2017 graduate of Kirkwood Community College but continues to work with the Kirkwood Communique newspaper and its online publication as its photo editor. He is a multiple recipient of Kirkwood’s Outstanding Artist of The Year Award for his photography while in college. That photography also has appeared in the college’s student-run magazine, “The Cedar Valley Divide.” Sigmund joined IowaWatch in August 2018. 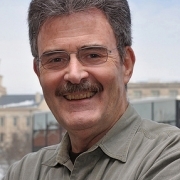 Stephen J. Berry, co-founder, former interim executive director-editor, became a journalism professor emeritus at The University of Iowa after joining the faculty in fall 2003 and retiring in summer 2015. He serves as a volunteer staffer for IowaWatch, reporting and editing news stories. In 2009, he published “Watchdog Journalism: The Art of Investigative Reporting” (Oxford, 2009). Drawing on archival research and interviews with Pulitzer Prize winning journalists from across the country, the book reveals the drama of the job and the passion of its practitioners as it tells the back stories of six investigative projects that earned the crafts most coveted honor. Before coming to the UI in August 2003, Steve was a journalist at the Los Angeles Times for seven years, most of which was as an investigative reporter. He has more than 30 years of experience as a journalist. In 1993, while at the Orlando Sentinel, Steve and his reporting partner won a Pulitzer Prize for investigative reporting. The four-part project – “Tainted Cash or Easy Money?” exposed abuses of power and racial targeting by an elite squad of deputies of the sheriff in Volusia County, Florida. Steve holds an undergraduate degree in political science from the University of Montevallo in Montevallo, Alabama. His master’s degree is in American history from the University of North Carolina at Greensboro. He taught introductory, intermediate and investigative reporting and writing to undergraduates while at the UI. Email: Stephen-berry@uiowa.edu. His term as director ends in 2019. Erin Jordan is the board’s president. She is an investigative reporter for The Gazette in Cedar Rapids and Iowa City, Iowa, where she covers topics that include tax breaks, business incentives, state bonuses and food waste. Her honors included being a recipient of the Iowa Newspaper Foundation’s Harrison “Skip” Weber Investigative Reporting Award. Before joining The Gazette, Erin was the Iowa City Bureau reporter for the Des Moines Register from 2003 to 2009. She has also taught at the University of Iowa’s Summer Journalism Workshop and Iowa Young Writer’s Studio. Erin has a bachelor’s degree in journalism and mass communication from Iowa State University. Her term as director ends in 2020. Andy Hall is founder and executive director of the Wisconsin Center for Investigative Journalism, WisconsinWatch.org, in Madison, Wisconsin. 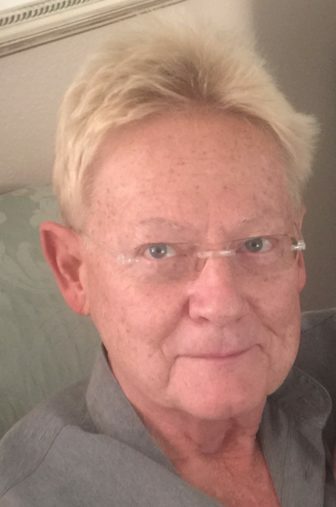 A former Investigative Reporters and Editors board member, he has won dozens of awards for his reporting over the past 26 years at the Wisconsin State Journal and The Arizona Republic. He began his career in 1982 as a copyboy at The New York Times. At The Republic, Andy helped break the “Keating Five” scandal involving Sen. John McCain. At the State Journal, Hall’s stories held government and the powerful accountable and protected the vulnerable through coverage that addressed the racial achievement gap in public schools and helped spark the creation of the nationally noted Schools of Hope volunteer tutoring program, revealed NCAA violations by University of Wisconsin athletes, and exposed appalling conditions in neglected neighborhoods such as Allied Drive and Worthington Park. Andy won a first-place award in 2008 for beat reporting from the Education Writers Association. He also has received National Headliner, Gerald Loeb, James K. Batten and Inland Press Association awards for investigative, financial, deadline and civic journalism coverage. Hall has served for nine years as a mentor to the staff of La Comunidad, a Spanish-language newspaper in Madison. He has taught numerous courses at the University of Wisconsin-Madison School of Journalism & Mass Communication. He earned a bachelor’s degree from Indiana University. His term as director ends in 2021. Daniel Lathrop is an assistant professor of journalism and mass communication at the University of Iowa with deep experience in computer assisted reporting that includes a stint at the Seattle Post-Intelligencer and co-founding the non-profit news organization Investigate West. He was news applications editor and then projects data editor at the Dallas Morning News before joining the Iowa faculty in fall 2015. His other experience includes serving as database editor at the Center for Public Integrity, where he worked on several award-winning projects, the Daytona Beach News-Journal and Ames Tribune. He advises and assists IowaWatch with data-based reporting but also has taken his own turn at reporting and writing stories. His term ends in 2021. Jim Malewitz is an environmental reporter at Bridge Magazine in Michigan. He is based on Lansing. He is a founding IowaWatch staff member and former assistant editor who graduated from the University of Iowa with a master of arts-professional in journalism degree in May 2011. His May 29, 2010, investigation “When Students Go Missing”, was IowaWatch’s first published story and was instrumental in building IowaWatch’s reputation as a trusted investigative news source. Jim earned his undergraduate degree from Grinnell College in 2009, where he majored in political science with a concentration in global development studies. Her formerly was an energy reporter at The Texas Tribune and energy and environmental issues reporter at Stateline, in Washington, D.C. His term as director ends in 2019. Rose Rennekamp is a retired marketing and communications professional who now serves as a community volunteer. The first half of her career was in the major appliance industry. With bachelors and masters degrees in textiles from Iowa State University she began her career designing laundry equipment with Whirlpool Corporation. She then earned her MBA from The University of Iowa and became product manager for Radarange® microwave ovens for Amana/Raytheon. She was the first Raytheon female vice president when she was became Vice President of Product Marketing and Planning. She subsequently served as Vice President of Corporate Strategy and then Vice President and General Manager of the Industrial Microwave Division. The second half of Rennekamp’s career focused on higher education. She taught marketing, new product development and strategy classes in the Executive MBA program at The University of Iowa. She also marketed the research assets of the university. In 1997, ACT recruited her to become its vice president of communications. Responsible for the Publications, Media Relations, Information Resources and Web teams, she led ACT’s first ventures into Internet marketing, its first website and its first online apps. She also developed a syndicated newspaper column, College and Career Corner, which appeared in more than 250 of the country’s leading newspapers. In retirement, Rennekamp focuses on the intersection of three vectors: strategic planning, higher education, and communication. She spent three years researching and writing Cut College Costs: How to Get Your Degree without Drowning in Debt. She also served as a director and president of the Iowa College Access Network. She now serves on the boards of directors for the Kirkwood Community College Foundation, The Heritage Center on Aging, Kirkwood Community College and The Iowa Center for Public Affairs Journalism. Her term ends in 2020. 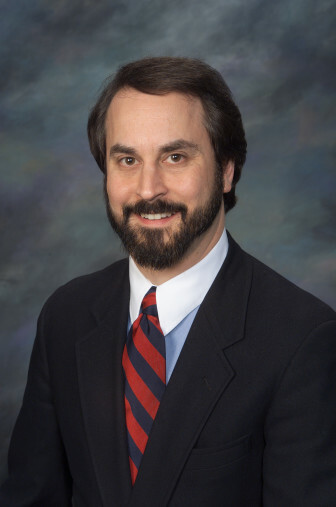 Steve Ridge, chief operating officer of Frank N. Magid Associates Inc., is a leading national media expert who frequently is quoted in publications including The New York Times, USA Today, The Wall Street Journal, The Los Angeles Times, TV Guide, Reuters, and Forbes Magazine while appearing on Fox Business News, Bloomberg Television, NBC News and CNBC. His interest in politics and communications led to a diverse career as an early achiever. After interning with former President Dwight Eisenhower at the age of 15, Ridge had his own commercial radio segment while still in high school. He completed his senior year at the University of Iowa as the youngest congressional campaign manager in the country in 1974. After graduating he honed his investigative reporting skills in radio and television in Iowa, becoming a national award-winning investigative television journalist and the youngest president-elect of the Iowa Broadcast News Association after championing numerous Freedom of Information challenges in local government. Ridge was a television news manager in Alabama and New York state until 1983, when he joined Magid, the nation’s leading audience research-based television and radio consulting firm. He co-led a company initiative to successfully acquire one of the country’s leading print media research firms in the mid-1990s and has led the diversification and expansion of the company in media, entertainment, electronic gaming, consumer-packaged goods, retail, financial services, quick-serve restaurants, travel, leisure and hospitality. Ridge and his family continue to make Iowa their home, despite the move of corporate headquarters to Minneapolis and the largest offices being based on Broadway in New York and near Hollywood on the west coast. His term as director ends in 2020. Lisa Rossi recently completed a 2017-18 John S. Knight Journalism Fellowship at Stanford University. Before that, she was a story telling coach at The Des Moines Register after a stint at news director for the American Journalism Review and on the faculty at the Philip Merrill College of Journalism at the University of Maryland. A University of Iowa graduate and former Daily Iowan editor, she also gained her journalism experience as a reporter for The Register, The Gazette (Cedar Rapids, IA), The Courier (Waterloo-Cedar Falls) and St. Louis Post-Dispatch. Before joining AJR, Lisa was an associate regional editor for Patch.com in Maryland, where she managed writers, edited stories and developed strategies to grow online audiences. Her term as director ends in 2019. Heather Spangler is the board secretary, and a lecturer and event planning certificate coordinator at the University of Iowa School of Journalism and Mass Communication. Her interests are helping brands of all types meet their goals through strategic communications, especially through events, social media and written communications. She periodically helps IowaWatch plan and hold events. Heather was a newspaper reporter with the Iowa City Press-Citizen and The Gazette (Cedar Rapids, IA) before spending a decade working in strategic communications, event planning and alumni relations in higher education. Her roles included serving as external relations writer and director of alumni relations at the University of Iowa College of Education before accepting her current position on the School of Journalism and Mass Communication faculty. She advises and assists IowaWatch with event planning. Her term as director ends in 2021. Alan Swanson is a Realtor and philanthropist who received an M.A. from the University of Iowa School of Journalism and Mass Communication, and who was a Daily Iowan reporter. He was the first marketer for the UI Press’s academic publications of poetry, short fiction and creative nonfiction, and also designed book jackets and the book Samuel Johnson’s Early Biographers. Later, he became the first communications director of the University of Iowa Foundation, where he mentored others on his team, which won numerous regional and national communications awards. Those awards included the top one for publications in U.S. higher education, presented by the Council for Advancement and Support of Education. On his 30-year anniversary, then senior vice president, communications and administration, he departed for a second career using his communications and marketing experience, joining real estate firm Blank & McCune in downtown Iowa City. Now co-owner/co-broker of the company, he added CLASSIC to reinforce its image, and enhanced marketing efforts to boost productivity. He has served on many area and state boards, including Iowa Able Foundation, Iowa Architectural Foundation, Iowa Center for Public Affairs Journalism, United Way of SE Iowa, Iowa City Area Association of Realtors, Iowa City Public Library Foundation (president), Summer of the Arts, Riverside Theatre (president), Iowa City Community Theatre, and Englert Theatre. He’s served on various nonprofit development committees, including for Shelter House, Coralville Center for the Performing Arts, the UI Stanley Museum of Art, and the Unitarian Universalist Society. He’s a member of the National Association of Realtors, Public Relations Society of America (APR accredited), and the Congress for New Urbanism. He enjoys keyboard performance, graphic art, interior design, architecture, community involvement and support, and world travel. He admires wordsmiths, and is a news addict. His term ends in 2021. Linh Ta is a business reporter specializing in retail at the Des Moines Register. She was born and raised in West Des Moines and graduated from Valley High School in 2011. She moved north to attend school and study political science at the University of Northern Iowa and work as the executive editor of the student paper, the Northern Iowan. There, she reported for IowaWatch as a student intern on depression on college campuses. After graduation, Ta moved back home to Des Moines to work at The Register, play with her cat, Artemis, and explore all the biking trails the metro area has to offer. In February 2019, Ta received the Iowa Newspaper Association’s Genevieve Mauck Stoufer Outstanding Young Iowa Journalist of the year for 2018. Her term ends in 2022. Mary Ungs-Sogaard is the publisher of four Woodward Communications newspapers in Iowa: the Dyersville Commercial, the Manchester Press, the Eastern Iowa Shopping News and the Cascade Pioneer. As publisher, she maintains the viability of newspapers both large and small. She is president-elect of the Iowa Newspaper Foundation, a past-president of the Iowa Newspaper Association’s Board of Directors and has more than 30 years of experience in working with management, publishing and newspapers. She has maintained a relationship with INA since 1982 and, in 2012, was awarded the INA’s Master Editor-Publisher award for her service. Mary holds an undergraduate degree in journalism and English from The University of Iowa. Her term as director ends in 2020. Taylor Odekirk is director of marketing and public relations at IowaWatch. A senior at the University of Iowa working toward a degree in marketing at the Tippie School of Business and journalism at the School of Journalism and Mass Communication, she also is a business and marketing intern at The Daily Iowan. Her background includes doing marketing and clerical work with the University of Iowa Student Government and the Klatt Law Firm, in Waterloo. She is in the University of Iowa honors program member and is a member of the American Marketing Association. K. Rambo is an IowaWatch reporting intern. His experience includes several positions at the Iowa State Daily, including as diversity editor, local politics editor and summer 2018 editor-in-chief. He also has served on Albany, Oregon’s The Commuter, winning the Oregon Newspaper Publishers Association’s award for feature story of the year in 2017. He also won the 2018 Donald Jackson Endowed Award for Excellence in Writing. His interests are in nonprofit journalism. Emily Highnam is an IowaWatch Science in the Media fellow. Her experience includes serving as a naturalist for Jackson County Conservation in 2015. She is enrolled at University of Dubuque, pursuing a degree in elementary education. Lily Bohlke is a Grinnell College senior seeking a bachelor’s degree in English with a concentration in linguistics. Her experiences include serving several positions as a reporter and editor at Grinnell’s student-run Scarlet & Black, including the 2017-18 school year as co-editor. She was a summer 2018 intern and chose to remain with IowaWatch for special reporting projects. Matthew McDermott is a Cornell College senior seeking a bachelor’s degree in English and creative writing. His reporting experience includes writing with the Mount Vernon-Lisbon Sun and the student-run The Cornellian. In spring 2018, he studied journalism and new media at the School of International Training in Rabat, Morocco. Helaina Thompson is a staff reporter, specializing in health news. She is earning her master’s degree in the University of Iowa Department of Health and Human Physiology after earning her undergraduate degree through the university’s School of Journalism and Mass Communication. Her experiences include working as an Iowa Public Radio production assistant, Little Village magazine contributor and Daily Iowan columnist. Molly Hunter is a reporter for Iowa Watch. She was born and raised in Cedar Rapids and is a graduate of George Washington High School. Currently she is a junior at the University of Iowa where she’s studying to receive a bachelor’s degree in journalism and mass communications and a certificate in entrepreneurial management. She is a former metro and politics reporter for The Daily Iowan and a summer 2018 intern at The Gazette (Cedar Rapids, IA). Bailey Doyle is a marketing and public relations intern at the University of Iowa in her senior year. Her major is journalism and mass communication. Originally from Tinley Park, Illinois, she joined IowaWatch in fall 2017. Bailey Ramsey is an event planner intern at IowaWatch and in her senior year at the University of Iowa in communication studies. She has done event planning in Portland, Maine; plus Dubuque and Edgewood in Iowa. She was a key member of a team that planned IowaWatch’s live storytelling events, “Glory Days” in 2017 and, with the Iowa Writers’ House, “Risks & Rewards” in 2018. Brenna Beer is a spring 2019 event planner intern at IowaWatch. She is finishing her senior year at the University of Iowa. She is getting a certificate in event planning while seeking a bachelor’s degree with a major in Asian Language and Literature (Japanese). Her experiences include belonging to the U of I’s Organization for the Active Support of International Students and volunteering for the Iowa Arts Festival. Abigail Sheehan is a freshman at the University of Iowa Tippie College of Business and a marketing and public relations intern for IowaWatch. She is a working toward a degree in marketing. She originally is from La Grange, Illinois. She joined IowaWatch in January 2019. Lily Valentine is an IowaWatch marketing and public relations intern. She is a sophomore at the University of Iowa, where she is a communication studies major. She is from New Lenox, Illinois. She joined IowaWatch in January 2019. Charles Munro advises and assists IowaWatch with video and broadcast journalism. He is a lecturer and associate director of undergraduate studies at the University of Iowa School of Journalism and Mass Communication, and TV coach for Daily Iowan TV. He has been a journalist, manager, industry consultant and educator for more than 30 years, gaining experience at places such as WXYZ in Detroit, WABC-TV in New York and WCPO-TV, Cincinnati, before working as a news consultant for Frank N. Magid Associates of Marion. John Lindsay assists IowaWatch with documentary storytelling. He is the director of national/international productions for Illinois Public Media. He is an award winning television/multi-platform production executive with experience in both commercial broadcasting and public television. Lindsay has a deep portfolio of relationships with international partners and funders from the UK, Canada, Germany, France, Australia, New Zealand, Japan and China, have resulted in raising more than $100 millions for production and multi-platform projects. Lindsay has received major awards for 63 productions including three Columbia DuPont awards, three Peabody’s and seven national Emmys. He has produced, co-produced or executive produced over 500 hours of local, regional national and international prime-time television programming and produced or executive produced over 300 hours of prime time programming for the PBS National program service. He also has produced or executive produced more than 200 hours of local/regional programs for PBS stations. Mark Siebert, an assistant professor of multimedia communication at Simpson College since 2013, has worked with IowaWatch to help select the annual Free Press Champion Awards and on journalism projects involving Simpson students. Before joining academe, he was a general assignment reporter for The Des Moines Register and also did reporting stints at The Cincinnati Enquirer and the Iowa City Press-Citizen. He earned his undergraduate degree from Bethel College (Kansas) and his master’s in journalism from the University of Kansas. Robert Gutsche, Jr., co-founder, helped organize IowaWatch, beginning in November 2009 and served on the Board of Directors as Treasurer until 2011. He is in a tenure-track position as assistant professor at Florida International University in Miami. Lauren Mills Shotwell was IowaWatch’s first full-time, staff data analyst/reporter, and also served as assistant editor during her time with the Iowa Center for Public Affairs Journalism in January 2013-August 2016. She also was among the students who helped establish and grow IowaWatch when she studied at the University of Iowa. She left IowaWatch for the Little Village magazine in Iowa City. Mike Anderson is a Rapid City Journal reporter. He was with IowaWatch from fall 2010 through January 2012 and again in August and September 2015. Rosemary Adams, with IowaWatch in 2016-18, is a North American new business assistant account executive at McCann. Joy (Chia-Yu) Chang, was IowaWatch’s public relations and marketing director in 2012-14. 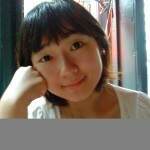 She is senior content strategist with Alibaba Group in Northwestern University. Maria Curi, a spring 2018 intern and IowaWatch/Fotini Perlmutter Undergraduate Student Award winner, left IowaWatch to work for POLITICO. Julia Davis, a spring 2017 IowaWatch intern, works in communications in the admissions office at MIT. Lindsey Drilling, former director of marketing and promotions, is a marketing assistant for Drilling Pharmacy in Sioux City, Iowa. Sarah Hadley, a two-time winner of the IowaWatch/Fotini Perlmutter Undergraduate Student Award, is a producer for KCTV5 News in Kansas City, Missouri. Emily Hoerner is a reporter for Injustice Watch. She was with IowaWatch in 2011 and 2012. Krista Johnson is a reporter with the Montgomery Advertiser. She was an IowaWatch reporter from 2015-17. MacKenzie Elmer is master’s student at Scripps Institution of Oceanography at University of California, San Diego, after working at several news organizations. Sarah Fields, IowaWatch’s director of public relations and marketing in 2017-18, is in marketing at The Post and Courier in Charleston. Stephen Gruber-Miller, with IowaWatch from 2013-15, is a reporter at the Des Moines Register. 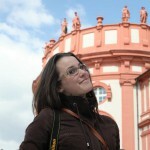 Meghan Horihan is a freelance video editor and writer at Ruckus Factory Digital Studios in Chicago. She was an IowaWatch public relations specialist and then a reporter in 2012-15. Guannan Huang, a native of Jiangxi Province, China, is a reporter and editor at The Week news website. Tyler McClelland is a digital investment team analyst at Haworth Media & Marketing in Minneapolis. Katelynn McCollough, a former assistant editor at IowaWatch, is a lawyer with the Davis Brown law firm in Des Moines. Jonathan Stefonek was with IowaWatch in 2011-12. He is a reporter with the Portage Daily Register. Linh Ta, with IowaWatch in 2013-14, is a reporter at The Des Moines Register. Makayla Tendall is a reporter at The Des Moines Register. She was a summer 2015 intern with IowaWatch. Hayley Bruce, an assistant IowaWatch editor in 2012-13, is University of Iowa News Services writer. 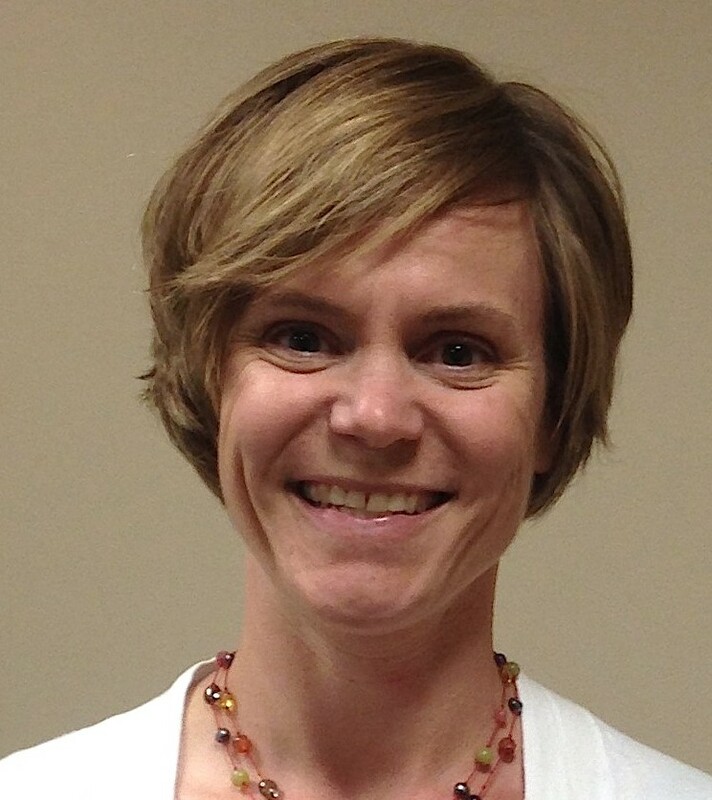 Laura Arny, a former public information officer for IowaWatch, is an operations project manager with Green Chef. Katherine Wilcox is a reporter at 9News KUSA in Denver. She was a multimedia reporter with IowaWatch in 2013-14. Tessa Lengeling, an IowaWatch reporter in 2014-15, is an associate with Riff City Strategies in Des Moines. Inma Mateos is a global channel manager at Gamelearn, in Madrid, Spain. She produced IowaWatch video reports in 2014. Ben Moore, an IowaWatch reporter in 2012 and 2013, is a Los Angeles-area freelance writer. 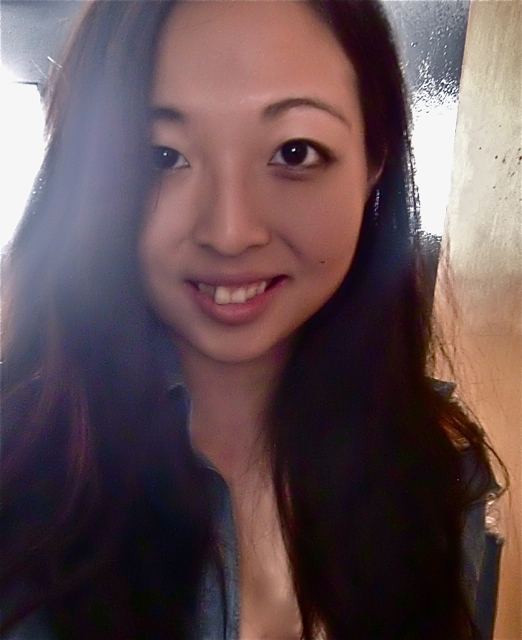 Sujin Kim, an IowaWatch reporter in 2012, is studying international relations at the Yonsei University Graduate School of International Studies in Seoul, South Korea. Robert Maharry reported for IowaWatch in 2012-13. He is a reporter and editor at the Conrad Record, with the Mid America Publishing group in Iowa. Libby Collins, an IowaWatch staff reporter in 2013-14, is an associate publicist at HarperCollins Publishers in New York City. Donna Schill Cleveland, with IowaWatch in 2010-11, is editor of iPhone Life magazine in Fairfield, Iowa. Haley Hansel is a marketing manager at Chanje, in Los Angeles. Mariah Prendergast, a former director of public relations and marketing, is in Los Angeles for an acting and modeling career. Lu Shen, an IowaWatch staffer in 2014, is a reporter with Magnify Money, a personal finance news site. Erin Selin, with IowaWatch in 2015-16, is human resources director at 4C Insights in Chicago. Kathryn Susik, an IowaWatch staffer in 2012-15, is an assistant account executive at Ketchum in Chicago. Lamia Zia, who focused on documentary and multimedia journalism in spring 2013 at IowaWatch, is an adjunct journalism professor at Texas Tech University. 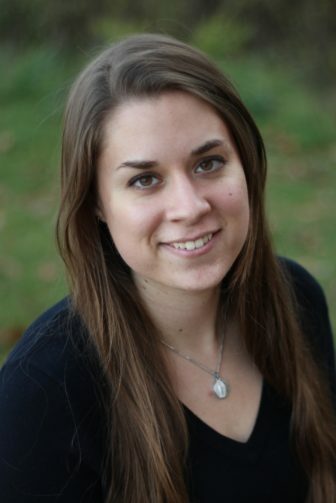 Rebekah Hoeger, with IowaWatch in 2011 and 2012, is a reporter at KKTV 11 in Colorado Springs, Colorado. Dana Davidsen, a reporter in fall 2011, is studying in the Master of Landscape Architecture & Environmental Planning at the UC Berkeley College of Environmental Design. Rana Moustafa, a reporter in 2014-15, is a graduate research assistant at the University of Northern Iowa. Gabriella Dunn, a reporter in 2014, pursuing a Ph.D. in industrial and organizational psychology at Rice University. Gabriel Gao, a medical affairs reporter from fall 2010 through January 2012, is an emergency medicine resident in Providence, Rhode Island, at Rhode Island Hospital-Brown University. Ryan Roccafort, a former public information officer for IowaWatch, is global public relations manager at Croc.